Our team of PAC experts had a really great time at the conference and as well as meeting some brilliant people during the exhibition we also had some very interesting discussions around Class I vs. Class IIa medical device classification, patient safety and the need for all healthcare providers to offer safe, effective, harm free care. Whilst the correct products and medical devices play a key part in safe and effective patient care, healthcare providers can only truly deliver harm free care if their staff properly understand the issues they are facing. In order to do this effectively all healthcare staff need focussed education from independent experts. During the conference in Milton Keynes earlier this month Wound Care Today launched their FREE to access e-learning education modules which are an amazing on-line resource for all healthcare professionals. Completing any of the e-learning modules will give you CPD points which count towards revalidation. For several years Talley have pioneered the manufacturing of class leading PAC support surfaces with proven safety and effectiveness. By partnering with Wound Care Today it shows that we understand the importance of good quality, class leading education as both industry and clinicians strive to deliver harm free patient care. 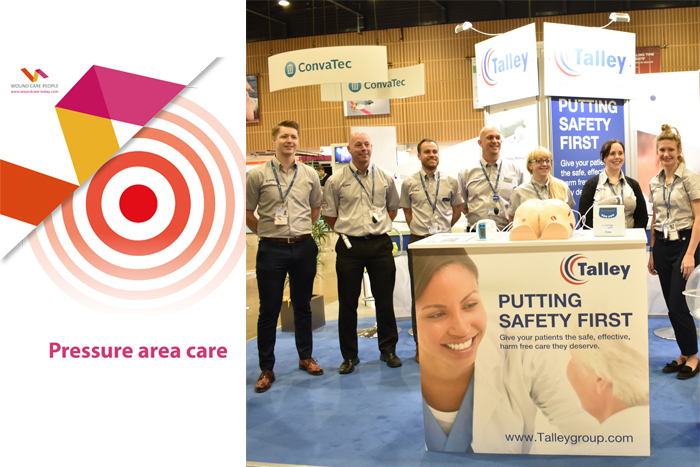 It is refreshing to see a totally new approach to a wound care conference and expert, free to access education for all healthcare professionals and Talley are delighted to be the PAC partner for Wound Care Today.